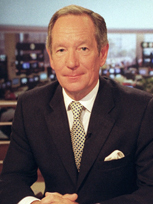 Michael Buerk has probably won more international awards for television reporting than any other British journalist, most notably for his coverage of the Ethiopian famine for BBC News in 1984/5. His reports filmed with the Nairobi-based cameraman, Mohamed Amin alerted the world to the extent of the tragedy. They were shown worldwide, to an audience of billions. They led directly to a massive international relief effort itself valued in billions of dollars, which was estimated to have saved well over a million lives. 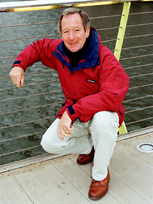 He presented BBC Television's flagship news programme, The Ten O'clock News and he also presented the peak-time BBC 1 programme about emergencies, 999. He is chairman of the BBC's discussion programme on moral and ethical issues The Moral Maze (BBC Radio 4), and presents a single interview programme about individual dilemmas, The Choice that is a key element of the new Radio 4 schedule. 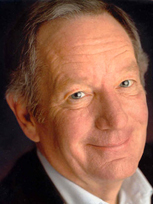 In addition to these regular commitments, he chairs, presents, reports for, and contributes to, a number of other television and radio programmes, mostly for the BBC. These have recently included major events such as the Royal Wedding of Prince Edward, the Eclipse and the BBC's Millennium night coverage, and also major BBC I series Tobacco Wars and Soul of Britain and the three part series The Hand of God in 2003. Apart form broadcasting, he lectures on international issues and environmental matters and chairs conferences on current affairs, political and industrial questions.